What Sacrifices Are You Willing To Make?Eliminate The Muda! Generally I pass along my personal significant learning points in sporadic posts titled Lean-Life- Learn. When you are poking around the internet, reading papers and always with a non-fiction book in hand, it is hard not to be enlightened periodically. On occasion however, I run into something that introduces me to new knowledge or forever changes my perspective. This was the case with a post by Jacob at Early Retirement Extreme. If you are not aware of Jacob, be prepared for something very different. “Extreme” is an understatement. Relatively speaking, when it comes to personal finance, this guy comes from a parallel universe. Recently, Jacob was answering a list of frequently asked questions from his readers. One of which was: Q: How do you deal with all your sacrifices? For the unfamiliar, I think it is important that you understand what “sacrifice” in the inquirers mind reflects. Jacob retired (“he might say achieved financial freedom”) in his early 30’s. As Jacob completed his formal education and began his short career he lived a lifestyle that makes a frugalist look like a spendthrift. This post was featured in the Carnival of Personal Finance at The Mighty Bargain Hunter. Please check this link for other great personal finance articles! Jacob currently lives in a RV somewhere near San Francisco California and spends only about $7,000 each year. For some, you may think this is like living a life of poverty, but I am beginning to see it is a matter of perspective. For Jacob, it is a unique perspective, but it has merit. Here was Jacobs response to the question: Q: How do you deal with all your sacrifices? A: How do you deal with yours? A sacrifice does not mean giving up something. A sacrifice means exchanging something for something better. I have given up shopping, credit cards, expensive cars, large houses, season tickets, and vacations in exchange for the joy of not having to work, the ability to spend all my time as I want, and the lack of stress from never having to struggle to make ends meet. If you know the answer to how you can sacrifice 60 hours of your life a week for the next 40 years, you know the answer to how I can sacrifice not eating out or buying stuff without thinking about the cost. When most of us think of money and personal finance we know that much of our population have lived the life of the conspicuous consumer, a few of us have lived as frugalists but all of us have sacrificed at least some, financially. We have chosen between the ball tickets and a new bicycle or a night on the town and a new shirt. Jacob has simply taken this to the extreme. He has turned the argument from expenses and money to experience and lifestyle. It might take me about a nanosecond to consider his choice of lifestyle and know that it is not one that I would choose. But these few words, his perspective, have made me seriously consider many of the life choices I have made in the past and will definitely be with me during future decisions. I have the feeling my wife is not going to like it as much as me! Readers: We all enjoy our luxuries and occasional splurge. For all the joy they bring us, have you ever reconsidered your decisions? If you could go back and do it all again, would you do it differently and if so, how so? 21 comments to What Sacrifices Are You Willing To Make? I have to say, Jacob’s ERE blog is one of my favorites. I really enjoy his outlook. As for sacrifices, I’d say that the things I’ve finally chosen to part with or give up don’t really feel like sacrifices at all to me–particularly not in return for my sanity. I haven’t sacrificed too much in terms of good food, wine and coffee (but maybe I should on the coffee). I don’t sacrifice in terms of learning opportunities or sports I enjoy and I don’t ask my husband to make sacrifices he doesn’t want to–because I’m not willing to sacrifice our relationship. Otherwise, almost anything is on the table if it points me in a direction that makes me happy. .-= Simple in France´s last blog ..Confessions of a Coffee Addict =-. Wow I just hopped over to his site and that man certainly has a story to tell! The most recent sacrifices I have made would have to be Time/fun. I chose to move out of my house with friends in the inner city (fun hub), to the county: farther away from work, and not near my friends, in exchange for a much cheaper standard of living. I have less fun during the week, but am paying off a lot of debt. I feel that it is a wise move because I can always move back in in a year or two, and I still spend my weekends in the city, having just as much fun as if I were still living there! .-= MyFinancialObjectives´s last blog ..Employer Contributions, Part 2 of 4: Why You NEED to Contribute to Your 401(k) =-. @ Simple – I’m with you there. He is obviously very intelligent. I’d try his patience in about 30 seconds because I’m an idiot in the world of physics, but I’d love to just sit and talk with him about that and bikes and sailing. @ MFO – Go back and dig a little deeper, he is a fascinating person. Like Jacob says, you’re just making a little trade at the moment. You’ve determined the debt reduction has a higher priority, its not a sacrifice its a great decision. Doing so now will allow you much more comfort and fun in the future. .-= Mrs. Money´s last blog ..Who Handles Your Finances? =-. Well put! It does help you look at it different when you realizing you are not giving it up, but exchanging it for something you will enjoy even more. I would gladly give eating out most of my life for 5 years at the end of my career that I do not have to enter the rate race. Makes you think twice! Hey I didn’t know Jacob is in SF! U sure about that? Land is expensivo here. Maybe Half Moon Bay perhaps Jacob? @ Mrs. Money – But will it cause you to make different decisions? @ Bible Debt – Same question, will it actually result in a different behavior? Today I bailed on a $200 purchase that a week ago I wouldn’t have thought twice about. @ Samurai-san – Its the internet and a persons privacy you are talking about here. Its not like you have been completely transparent about your millions. Yeah you have your freedom fund but that’s only a sliver of the overall picture. If you read through all of Jacobs stuff you can’t figure it out completely but you can surmise a decent picture. I’d bet $1 the guy has less than a million in cash and investments, maybe much less but its more than enough to sustain him in the level of comfort that makes him happy. Yeah from reading his site I would agree with LLC. I suspect it is several hundred thousand. At any reasonable rate of return though his is making quite a bit more than he spends though. His lifestyle intrigues me. I don’t think I could ever manage to trim that far, but I do think I could be perfectly happy living around the poverty line. If you are completely out of debt you just don’t NEED that much. I doubt I get to retire quite as soon as him, but I’m hoping it isn’t too far off. I certainly don’t plan on waiting until I’m 65. .-= Derek @ ChristianCommonCents´s last blog ..Where Should I Keep My Emergency Fund? =-. Yeah, I’d say forget about the number for a minute. The overall theme seems to be define what’s important to you, and then do just that. And Sam, Jacob may not want to stop the questions. Questions are usually good for many reasons. I love the post! The word sacrifice has such a negative connotation, but I totally agree that it’s just giving up one thing for something better. I have sacrificed my income as a nurse to stay at home with our newborn son. At first, I thought it was going to be hard living off of one income…but it really isn’t. It makes me wonder what we did with that extra money! .-= Kristine´s last blog ..Term vs Whole Life Insurance – The Battle Begins =-. I recently gave up my cable and now have more time to get my schoolwork done. I also increased the money I can pay towards debt by not having that cable bill. .-= Lulu´s last blog ..Monthly Financial Update: March 2010 =-. If I were single, and could make decisions completely on my own, I could see myself following this path. Of course, I don’t think I could give up my Starbucks addiction (total annual cost about $900 – I know, not very frugal 😉 ). There’s not a whole lot that I “want”, at least not materially. I day-dream about a tiny cottage in the forest where I grow my own food, ride my bike to pick up fresh bread, and hang out on my porch in the sun with my cats. Ahhh…. 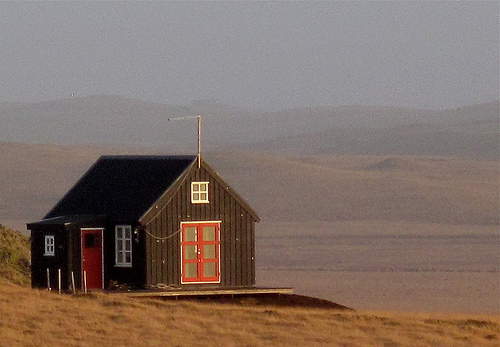 .-= Little House´s last blog ..Why Don’t I Qualify for a Roth IRA? =-. I enjoy reading his site for a while. I think for Jacob, being resourceful and savvy is the key to keeping the cost down. If I were that savvy, I could recoup some of the repair cost on my car. As for regret, I probably would take back that $460 we spent on our first anniversary dinner. I know, crazy! It was hands-down the best dining out experience we’ve ever had in all aspects. But no, we’re not going to do it again. We have repented. .-= Bytta @151 Days Off´s last blog ..Day 26: A Weekend in Melbourne: The Good, The Bad, The Overrated and The Underrated =-. @Derek – Success is within your grasp. Keep up the great work. @Aaron – I’m open to forgetting the number for a minute. But what if you can’t do what you love? When that minute is over, we need to get back to providing for our needs and achieving higher goals. The question I raise is how much do we really need? @Kristine – Be careful what you ask for. As @Aaron said “Questions are usually good for many reasons.” Is it possible to go back and determine where that money went? Would help motivate you to be an even better money manager in the future? @Lulu – I can’t tell you how jealous I am. I’ve been trying to convince the wife for two years! @LittleHouse – If you really want to live in the little house, just make sure hubby is ready for it too! And hey, make your own bread! If you ever make it, I hope you blog about it everyday! @151DaysOff – Spending lean, watching your budget and saving is what provides you the opportunity to splurge on occasion. Our dining budget dropped 90% from its peak. Yet, we still eat fancy sometimes. Hence the question, what sacrifices? Jacob has me thinking that I could live with a lot less than I had envisioned. From the cost benefit perspective my college degree has been the only major financial sacrifice up to this point, which will take a few years to recover from. Good experience, helped make me who I am today, but a huge investment that probably won’t pay back directly. I identify quite a bit with Jacob, but struggle a bit with the social aspect of it since most people already think I’m a big weirdo, lol. In hindsight would you have chosen to live like Jacob? .-= Ryan @ Planting Dollars´s last blog ..Where Do You Store Your Financial Records? =-. @ Ryan – In my younger years I contemplated life on a sailboat. At least until my first experience on a boat in bad weather on the Atlantic. That’s when I knew I would never be sailing around the world. While I can’t live like Jacob, he has helped me recognize that I can still do without a lot more than I have. In hindsight, would you go to school again?